I have been wearing a Garmin fitness tracker of some description for around 3 years. I started off with the Garmin Forerunner 235 which I absolutely loved. I really liked being able to track everything including my sleep, receive smart notifications from my phone and using it to run or workout at home with. But, while I really enjoyed this watch and all of the features, it wasn’t feminine enough for me and I decided to upgrade from this to the Garmin Fenix 5s. I know what you’re thinking, this is a Vivomove HR review, why is this relevant? Well, as much as I love my Garmin Fenix 5s, I still felt like it looked a bit too much like a ‘fitness watch’ to me and I wanted to try something that would be more of an everyday stylish watch that wasn’t quite so ‘techy’. I didn’t need any GPS tracking, since I was going to still be using my Fenix 5 for my runs, so I wanted something a bit more, let’s be honest, girly. 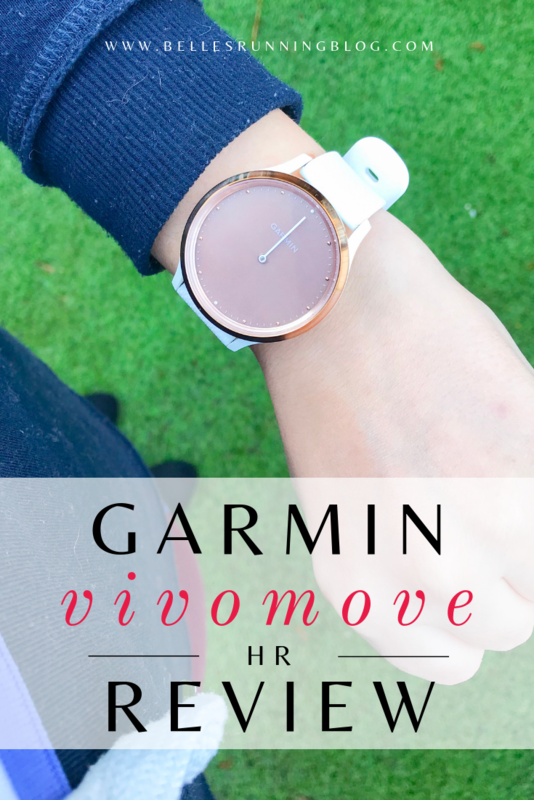 Enter the Garmin Vivomove HR. Tracks your sleep, calories, heart rate and stress rate which are perfect for monitoring your health throughout the day and over time and also includes a ‘relaxation timer’ to help you de-stress. So what’s so great about this watch? 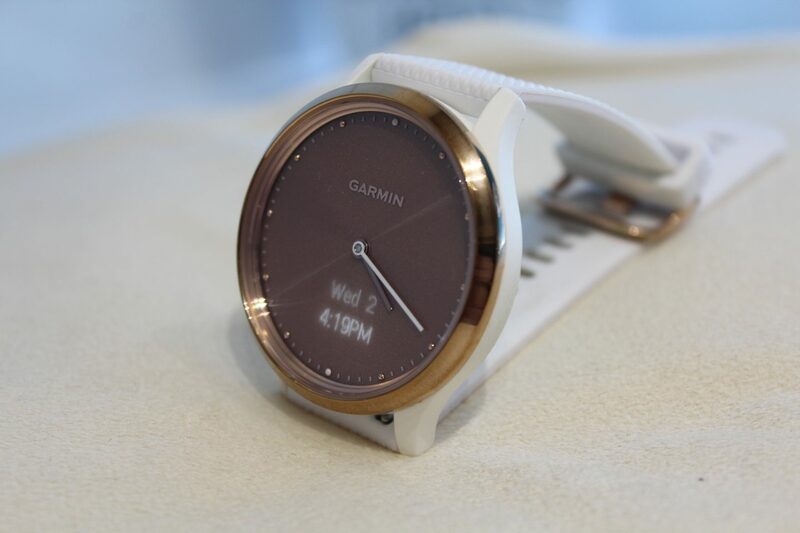 I love how pretty it looks and it could easily pass for a designer watch with the rose gold tone and the white silicone band (it also comes in many other colours with different straps) so if you’re looking for more of a health watch than a sports watch it’s perfect. The watch face is medium sized and clear to read. When you receive notifications or you’re scrolling through the menu the hands of the watch will move away from the viewing area until you exit. Even though I used this watch for 4 days straight on a trip to Amsterdam there was still enough battery left in it for me to use it when I arrived home. When you sync this with the Garmin Connect app it provides you with in-depth data about your health and activities for each day. The Connect app has many different features and you can link with friends who also have this app. It doesn’t take long for this watch to be fully charged. I can leave it connected for a couple of hours and it will good to go which means I don’t have to hang around and wait for it when I want to get out of the door. Ok so real talk here, what don’t I like about the watch? It would be great if Garmin had come out with this watch to include GPS because that’s really the only thing that’s lacking for me, however, my Fenix 5s has tons more features which I use for tracking my runs so I’d still be using this for that purpose anyway. 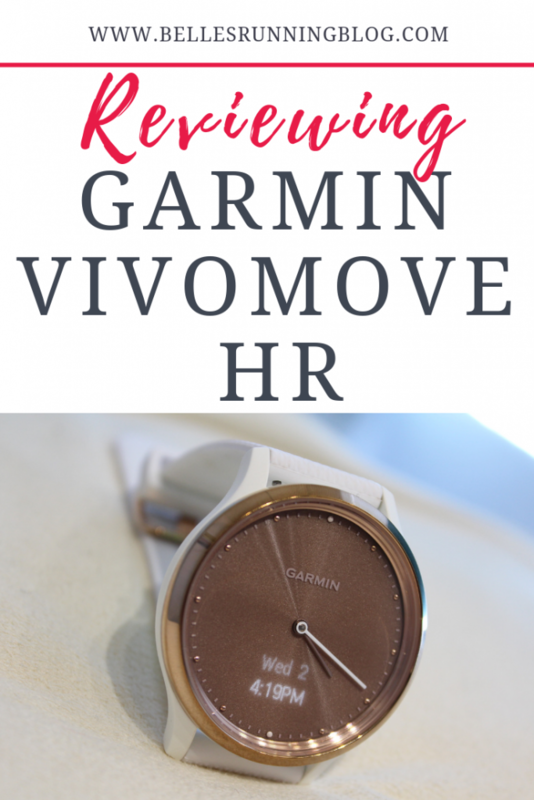 Personally, I think that Garmin should launch more activity watches which are more flattering for women as most of them seem to be more geared towards men. The viewing part of the watch is very small which makes text messages more difficult to read because you have to continually scroll through the screens, which, if you have a particularly long message to read, can be inconvenient. In comparison to the Fenix 5s, you can read large chunks of text on your watch with no problems and minimal scrolling. Imagine how mobile phone text messages used to be displayed on some phones a line at a time and you’ll be somewhere close to how this display shows. Personally, I think the touch screen is incongruent for some of the features. I find navigating through the first set of menus is absolutely fine but when you’re into the more detailed settings I’ll accidentally press on the back button because the touch screen button is so close together or go into the feature when I wanted to go back and I don’t have particularly large fingers! Sometimes, getting the screen to activate is frustrating. When you bring the watch up to look at it, the display will show but this doesn’t happen every time even with more exaggerated intention. Tapping on the screen while the display is off will activate it too but this, again, is sometimes temperamental. Also, while it’s tracking your activity, I occasionally have the same issue in trying to start and stop the tracker and I’ll tap away furiously trying to stop recording. I had real issues trying to connect this to my iPhone when I first got it. I tried every suggestion from Google including turning my phone off, uninstalling the app and reinstalling. I couldn’t actually tell you how I managed to sync them in the end as it sort of just seemed to happen eventually. Would I recommend this? Absolutely yes, as a basic activity tracker that is one of the more pretty ones on the market at the moment. I like that this looks more ‘dressy’ than my other Garmin watches and don’t feel like I have a ‘man’s watch’ on my wrist, unlike some of the others so I am more inclined to wear this one to work or if I’m going out. While I think the viewing section of the notifications could be larger, it’s useful enough for you to know who has text you or emailed you, which is sometimes all you want to know. If you’re going to be reading long text messages from it though, you may find it more difficult to be discreet as you’ll have to do a fair bit of scrolling to reach the end! As I previously mentioned, the only real flaw I have encountered is the touch screen features and how sensitive and difficult I found them to navigate. Perhaps my fingers are more sausage-like than I thought, but I find it even more challenging when I have my nails done as I have to use my entire fingertip to use the touchscreen! Overall it’s a great smartwatch with some extra activity tracking so if you’re looking for something more suited to running, I’d say to spend a bit more and upgrade to one of the more running-specific watches. Disclaimer: This post has affiliate links, which means if you choose to buy through my links I receive a commission at no extra cost to you! 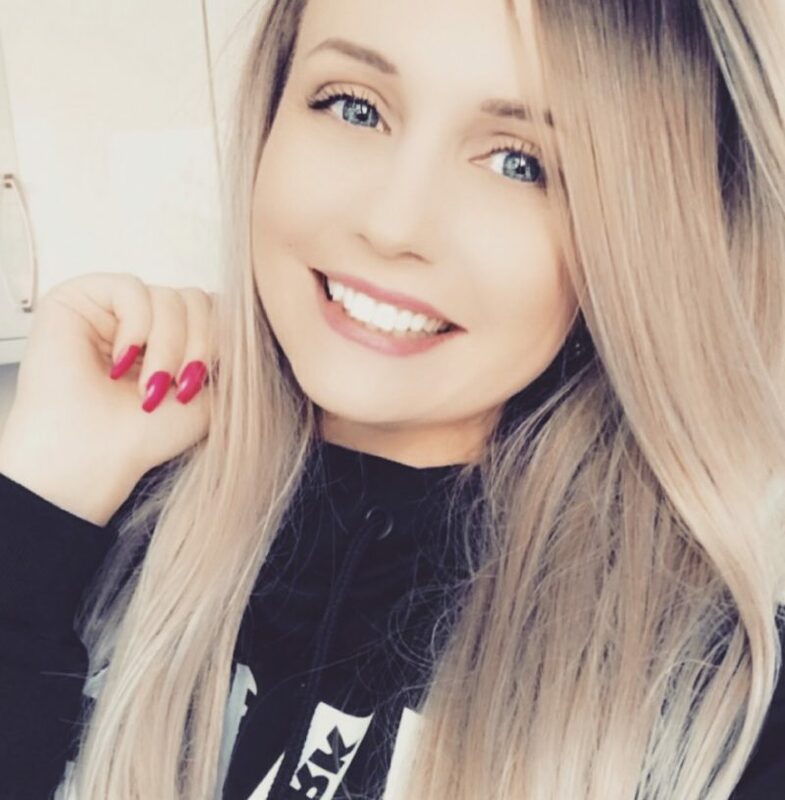 I’ll only ever link products that I absolutely love and use, thank you for supporting me. Nice review, some of my friends have the same one. They’re all very happy with it. I just upgraded to a 235 from a Forunner 15. The 15 failed at the 36k mark of the marathon, I’m confident the 235 will make it to the end of my next one. oh no, what an absolute let down, I’d be totally devastated! 235 was a great watch really couldn’t fault it and the battery life was impressive too. Hope you have better luck with the 235!